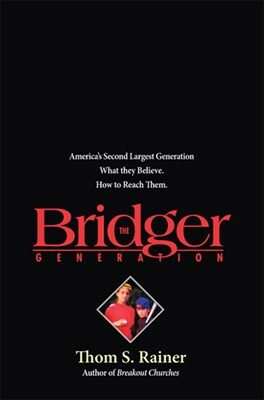 The Bridger Generation is the first comprehensive study of the new generation, 72 million strong, born between 1977 and 1994. These are ‘the Bridgers’–the first generation to come of age in the twenty-first century, bridging the gap between two centuries and two millennia. Rainer’s in-depth analysis explores and explains revealing data, facts, and trends about tomorrow’s leaders and how best to present them with the gospel of Jesus. 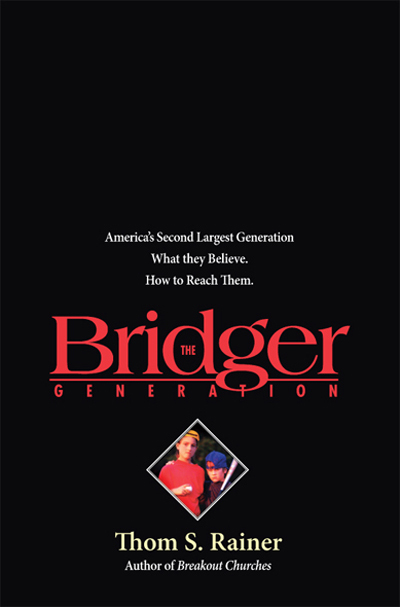 Moving beyond the Baby Boomers, Busters, and Generation X, The Bridger Generation takes a unique first look at the next American demographic phenomenon.